For women, Panasonic electric shavers rate tops. 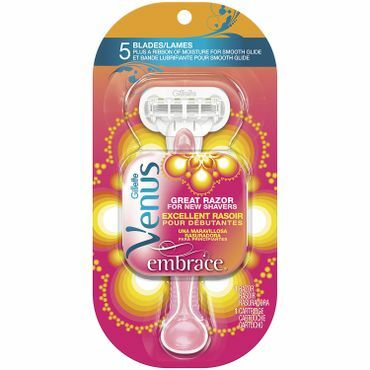 If you want a close shave only a razor can deliver, embrace the Gillette Venus Embrace. Top epilators and bikini shavers named, too. We also provide guidance to help you find what type of woman's shaving solution is right for you and your skin. 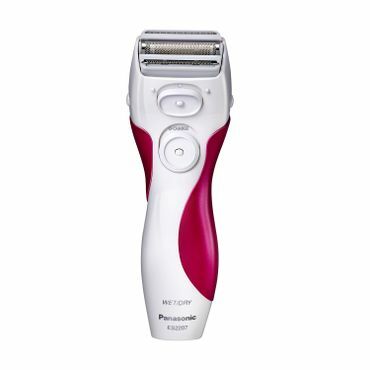 The Panasonic Close Curves ES2207P electric shaver offers a fast, reasonably close, burn-free shave. Users say it's quiet -- for an electric shaver -- and does a superb job on tricky bikini-line and underarm areas, thanks to the pop-up trimmer. Wet/dry capability means you can use the Panasonic Close Curves in the shower if you like, and it's fully submersible for cleaning. The five-bladed Gillette Venus Embrace hugs your curves, with a built-in moisture ring around the blades for a close, burn-free shave. Women who regularly nick and cut themselves while shaving say they can remove unwanted hair without a bit of pain when using the Venus Embrace; they also say it's easy to hold and use. With a good manual razor on one end and a built-in waterproof trimmer on the other, reviewers call the Schick Hydro Silk TrimStyle the best bikini trimmer on the market. The five-blade refillable razor head has moisturizing strips for a close, silky shave. Users appreciate the battery-powered trimmer, which trims without pinching and can easily adjust to the closeness you want. The cordless Braun Silk-epil 9 Wet and Dry Epilator can be used in the bath or shower (for gentler epilation) or dry (for a smoother result). It comes with both epilator and shaver/trimmer heads, plus a facial epilating attachment and separate facial cleansing brush, too. 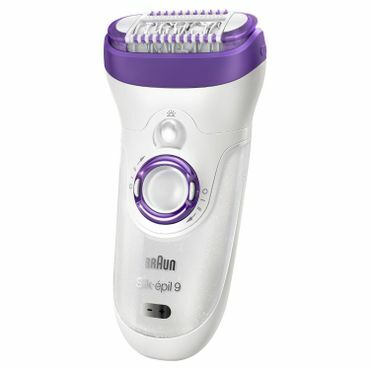 It's expensive, but reviews say it's simply the best epilator on the market. 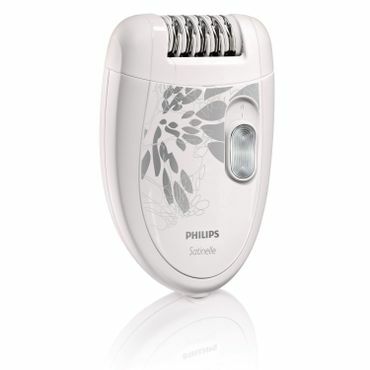 You don't have to spend more than $100 to get a decent epilator, reviews say: The Phillips Satinelle Epilator HP6401/50 works surprisingly well for its price. It boasts two speeds, a rinsable head, and it isn't any more uncomfortable to use than an expensive epilator. It's slower, though, and some owners report broken or ingrown hairs and leftover stubble. 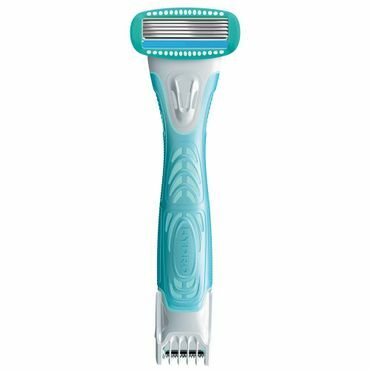 Electric razors are great for women with sensitive skin as they can reduce your risk of nicks, cuts and razor burn. Women with bleeding disorders should always use an electric razor. They don't shave quite as closely as a razor, but some do a pretty good job. Many can even be used in water, so you can still shave in the shower. Electric razors are also perfect for quick touchups in between showers. The best women's electric razor we found costs less than $20. Razors -- both the refillable kind and disposables -- are popular, effective and affordable. These work similarly to a man's razor, but are more likely to have handles and pivoting heads that are designed to make maneuvering around knees and ankles more manageable. Most have moisturizing strips built in; some are so emollient, you won't need any shaving cream or gel. You just toss disposable razors when you're done with them. With refillable razors, you have to factor in the cost of the cartridges, which can add up. The best women's disposable razor we found costs less than $3 each, while the best refillable razor costs $7 (plus about $4 each for cartridge refills). Bikini-line shavers and trimmers are specifically designed for the tricky angles and confined space of grooming -- or removing -- some or all of your pubic hair. They're smaller than regular shavers and have angled heads for working around confined, sensitive areas. Costs range from less than $1 each for inexpensive disposable bikini-line razors to around $11 for a refillable bikini shaver with a built-in electric trimmer. Epilators use tiny, motorized tweezers to pluck hair out at the root. Epilating is slower than shaving, to the point that some women will only use epilators on small areas like the underarms and bikini line. As you might imagine, the plucking process can be painful as well, and not everybody chooses to endure it. Those who do, however, say the long-lasting results (two to three weeks) are worth it, and that it gets less painful as your skin adapts and hair grows back finer and more sparsely. Epilators can be expensive. The best-reviewed one costs around $125, although we did find one that does a very good job for only $35. "The Best Drugstore Makeup, Hair, and Skincare Products"
In this report, we focus on woman-specific shaving concerns: finding the razors, shavers and epilators that remove hair cleanly without cutting, pinching or irritating your skin, even when navigating the tricky curves around knees, ankles and underarms, or skirting your bikini line. To find the top choices, our editors first evaluated expert reviews for every type of women's shaver and razor on the market. From there, we narrowed it down to the top-performing models -- the ones that reviewers say give the closest, longest-lasting, most comfortable shave. Of course, experts and users don't always agree. We also consulted thousands of user reviews at retail sites across the Internet to find those shavers that women say are the easiest to use, without causing unreasonable discomfort or skin irritation. We considered price, too; you can easily find most of our top razors and shavers at drugstores and supermarkets. The end result of our research are our picks as the Best Reviewed shavers, razors and epilators for women. A handle that's easy to hold, even when wet.